"This year (2015) marks the 70th anniversaries of the bombings of Hiroshima and Nagasaki. The survivors of those bombings, the hibakusha, have been outspoken in their calls to abolish nuclear weapons so that their past does not become someone else’s future. Every year, every day, that this advice is not heeded, increases the danger to the human future. This is a legal issue but it is also a moral issue, a security issue and, ultimately, a spiritual issue. Humankind must step back from the nuclear abyss now, before it is too late" : Richard Falk, an international relations scholar, professor emeritus of international law at Princeton University, author, co-author or editor of 40 books, and a speaker and activist on world affairs. The only way we can fully step back from the nuclear abyss, as Falk suggests, is to recognize that decision is ultimately a spiritual decision ~ so let me offer that spiritual solution by breathing fire into Einstein's most famous mathematical equation ( E=mc2 ) and apply to a Unified Field of love and soul consciousness whose principle property is the universal urge to unite and it lies deepest within ourselves. 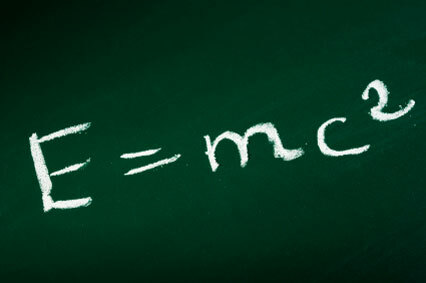 M = Man, the most complex and conscious form of matter that we know. Thus, the energy of conscious unconditional love, which is deepest within all living matter, is equal to Man's consciousness squared ~ and is one in the same with the near and after death experience, both of which I have experienced. "If you scratch below the surface and get to the molecular atomic and sub-atomic worlds, you find that these worlds are not material worlds. They are worlds of intelligence and ultimately worlds of consciousness"
For decades, physicists, scientists and dreamers have been looking for the elusive Unified field, a grand unified field in which all the forces of nature would be a condition of state. "And even if there is only one unique set of possible laws ~ it is only a set of equations. What is it that breathes fire into the equations and makes a universe for them to govern? Is the ultimate Unified field so compelling that it brings about its own existence?" In response to Hawking's query, this Unified Field of love and soul consciousness is so compelling that it does bring about its own existence ~ because it is deepest within us all. It is also the plasma of the universe and our lives are a quest to reunite with this spring of love, joy and soul consciousness deepest within us ~ which constantly pulls on us when we surrender to love. Hawking also posed that there ought to be something special and simple about a theory of everything ~ and what could be more special and simple than love. As a result I have spent the last 40 years writing about the Unified Field and demonstrating it in my heart centered soul retrieval work especially with combat veterans with PTSD. My specific lifetime passion has been to demonstrate that beneath our deepest pain and fear is a spring of joy and our innate connection to another world of love and soul consciousness. "A theoretical concept is emptied of content to the very degree that it is divorced from sensory experience, for the only world man can truly know is the world created for him by his senses." In his many books, Teilhard de Chardin provided the needed bridge of what we can see and the unseen world of soul consciousness: "What name should we gave.. (to that) to which all activities displayed by the stuff of the universe are finally reduced? Only one name is possible: love. The physical structure of the universe is love." Unlike Einstein, Teilhard clearly grasped the fact that the attractive force of love must necessarily rule at the atomic level of the universe or else love could not appear at higher levels of consciousness ~ " If there were no real propensity to unite, indeed in the molecule itself," he wrote, "it would be physically impossible for love to appear higher up in the hominized or human form." Carl Jung, also sensed a parallel between theoretical physics and depth psychology. 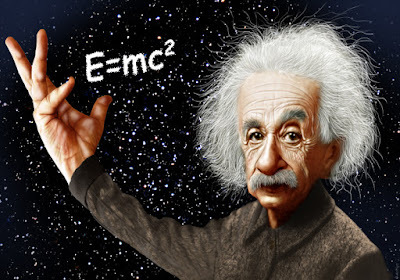 This inspired his efforts to probe the deepest regions of his own psyche, as well as that of others, in search of a unifying source of energy and a causal theory of synchronicity comparable to Einstein's theory of relativity. Teilhard clearly defined this all unifying source of energy as love and I have built on these three giants to demonstrate that this Unified Field of soul consciousness exists not only beyond time and space but also beneath our deepest fears ~ and thus my Unified Field PhD Dissertation in 1998. The inner shift in consciousness is already happening! I see it every day particularly in my consulting work with Combat veterans with PTSD who have been to the dark side and long for another life enhancing choice versus anger and hatred. At precisely 8:15 AM on August 6th,1945 ~ 200,000 people instantly and eventually died from an Atomic Bomb dropped by the United States on Japan and our world permanently changed, for at that moment man had discovered the ultimate means to destroy ourselves. I remember that day well, for I was eleven years old at that time ~ but I could still sense the psychological impact of that mass destruction of human life. But now, 70 years later, we are still learning the intellectual and soul based moral bearings needed to control the fearsome murderous beast we unleashed on Hiroshima and then three days later on Nagasaki. With the eventual establishment of this scientific formula and spiritual truth the world will make a quantum leap towards achieving world peace. Lincoln Barnett wrote of the true significance of this moment in time ~ " The great philosophical triumph of any Unified Field Theory is implicit in the first word of its title. For it will carry to logical fulfillment the long course of science towards the unification of man's concepts of the physical world. For from its august perspective the entire universe would appear as one elemental field in which each atom, each flying electron, each star, each wandering comet and slow-wheeling galaxy, is seen to be but a ripple to tumescence in the underlying space-time unity. And so a profound simplicity would supplant the surface complexity of nature. Thus all man's perceptions of the world and all his abstract intuitions of reality would merge finally into one ~ and the deep underlying unity of the universe would be laid bare "
The deep underlying unity of the universe is a psychic energy field of love and soul consciousness (the Unified Field) wherein love, not light, is the one constant of the universe and the urge to unite is its principle property.